Hotel bespoke cocktail bar Anti:Dote appoints new head craftsman Gina Kent, who takes over role vacated by award-winning Tom Hogan. 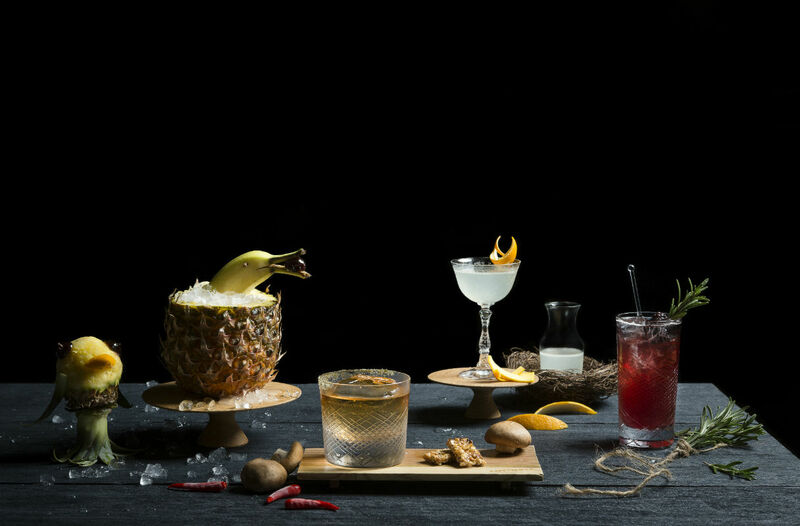 We’ve always been impressed with Swissotel The Stamford‘s well-regarded cocktail bar Anti:Dote, but earlier this year it lost its award-winning head craftsman Tom Hogan, who left the hotel bar to join Singapore-based spirits distributor Proof & Co. The position has been left vacant for a number of months until now – Anti:Dote last month welcomed new head craftsman Gina Kent, who will helm the bar alongside assistant head bartender Bannie Kang. Kent may find Hogan’s shoes hard to fill; flamboyant mixologist Hogan has won the “Bartender of the Year” title at The Bar Awards for two consecutive years. But she may have some tricks up her sleeve of her own – Kent’s experience in developing menus from across various bars across Los Angeles is evident in the shape that Anti:Dote’s new menu is adopting, creating fun little stories behind each of her cocktails even as they conform to the bar’s offerings of concoctions cleverly disguised as ‘cure-alls’. Kent’s new cocktail renditions include the Rappaccini’s Daughter ($23++), which combines tequila, housmade violet liquor, and orange bitters, topped off with soda and then garnished with a blackberry rosemary shrub. There’s even a touch of Szechuan pepper, mirroring the complicated Nathaniel Hawthorn short story of a poisonous maiden the drink is named after. Then there’s the likes of the Modern Woman ($23++), celebrating the independent woman of today with a drink comprising of a blend of bourbon, lemon juice, cinnamon syrup, pear brandy and Madeira. Note that both drinks will be put on the menu from December. Kent will be working closely to similarly newly appointed head chef Tryson Quek, the latter who will be responsible for putting out a fine selection of modern Asian-inspired tapas to pair with Kent’s cocktails. It looks like Quek is pulling out all the stops in order to retain the title of “Best Culinary Experience in a Bar” from this year’s The Bar Awards. His Burnt Corn Taco, Smoked Ricotta ($14++), puts together tasty ricotta cheese and blackened corn niblets in a taco shell for a delicious bite. Also gastronomic worthy is the Chicken Noisette ($10++), essentially tater-tot sized meatballs made from blended chicken and foie gras served with a potato puree infused with Joselito ham. It’s early days yet, but we’re hopeful that Kent gets into her City of Angels groove and help propel the bar to greater heights this year. Anti:Dote is at Level 1 Fairmont Singapore, 80 Bras Basah Rd.